Nuova Ompi’s expertise in handling glass goes back more than 60 years. The company belongs to the Glass Division of the global Stevanato Group, a leading manufacturer of glass tubing containers for pharmaceutical applications. Nuova Ompi is based in the North of Italy and specializes in glass primary packaging for injectables. 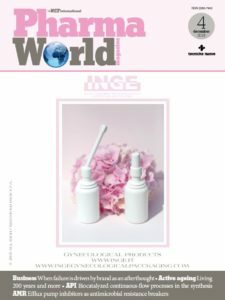 Its standard portfolio includes different types of syringes, vials and cartridges for insulin, anesthetics, and a wide range of biotech products. Thanks to the company’s extensive experience and in-depth knowledge, Nuova Ompi is well equipped to serve the needs of global pharmaceutical manufacturers. Over the past few years there has been growing demand for ready-to-use glass containers in the pharmaceutical industry. This development is driven by the space challenges many manufacturers face, increasing the need for technology with a small footprint. By using sterile ready-to-use glass containers, pharmaceutical manufacturers can move directly to product filling as no washing machine and tunnel for cleaning and sterilization are required in the production line. This further allows them to save additional staff and training. Following this trend, Nuova Ompi prepared to launch its EZ-fill™ product line of sterile and ready-to-fill containers such as vials and cartridges. Witnessing the strong demand in the market, it decided to ramp up production and sought to acquire appropriate line technology. Since the company needed to increase production sooner rather than later, it required a partner like Bosch Packaging Services who could deliver the line quickly with the flexibility to handle both vials and cartridges. To meet the high demand for its new brand, Nuova Ompi acquired parts of a Bosch line consisting of a RRN 3063 washing machine and HQL 3680 tunnel designed with advanced smooth handling technology. The line had originally been sold to a Dutch customer who decided not to pursue production of the products for which the line was designed prior to market launch. As the machinery’s advanced technology offered the flexibility for rapid changeover between various containers, it was the perfect basis for the modifications needed to meet Nuova Ompi’s requirements. The project timeline was rather tight. Within six months, the line had to be able to handle both vials and cartridges. The original line was designed for cartridges only. After having agreed on the general conditions of this modification project, Nuova Ompi and Bosch Packaging Services set up their project teams closely working together. According to Nuova Ompi the expertise and experience of the Bosch team made the entire project a success from the beginning. 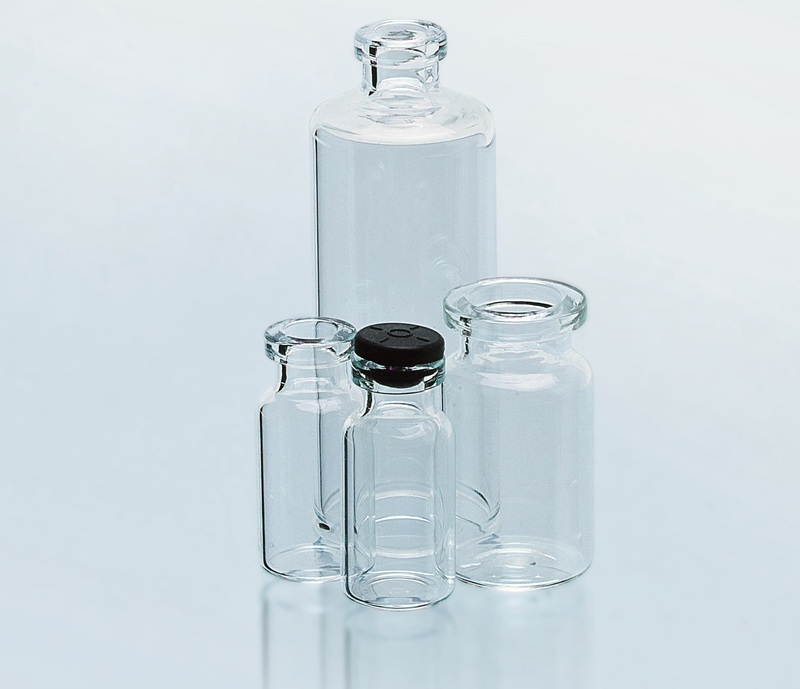 To ensure the EZ-fillTM product line meets pharmaceutical standards, the renowned company emphasized the significance of perfectly siliconized containers. Therefore, extensive siliconization tests were performed prior to starting the project. In the first stage the entire line was brought into the Bosch factory. Bosch experts fully disassembled the washing machine and retrofitted the gripper turning unit to additionally allow the cleaning of vials. Furthermore, Bosch modified the complete infeed area to ensure gentle handling, designing a sleeve to safely transport the primary glass packaging into and through the washing machine. Nuova Ompi supplies its ready-to-fill glass containers to a number of companies with a number of requirements. Therefore, not only quick changeover between vials and cartridges but also the ability to handle different sizes was a core requirement. For their vials in sizes of up to 10R as well as 3 milliliter and 20 milliliter cartridges, Nuova Ompi ordered several sets of size parts for the washing machine and tunnel from Bosch to enable the required flexibility in handling. To ensure its proper functioning with all sizes, Bosch Packaging Services performed a thorough mechanical check of the tunnel. As the actual filling process is realized by Nuova Ompi’s customers, the vials do not have to be closed but are transported directly from the tunnel into the company’s tub nesting machine. For the cartridges, the Italian company included a new MRD 1010 filling and sealing machine from Bosch – but without the filling station. The cartridges are closed on one side with either a stopper or cap in the MRD filling and sealing machine before they are transferred to the tub nesting machine. Bosch customized the machine to meet the unique requirements of its customer. During the Factory Acceptance Test at the Bosch plant, Nuova Ompi praised the entire Bosch team for the quick and successful implementation of this customized project, describing Bosch as “easy to work with”. In particular, in terms of the validation and qualification process Nuova Ompi and Bosch had the same high standards. Thanks to the professional cooperation of the two teams involved throughout the development process, the project was a great success. The modified machine with format flexibility was delivered within a short period of time so Nuova Ompi could kick off mass production of its new EZ-fillTM line. Nuova Ompi belongs to the Glass Division of Stevanato Group, which is among leading suppliers of glass primary packaging for the global pharmaceutical industry. Nuova Ompi is the glass-tubing converter in Italy and among the top leaders in the market. The standard portfolio of neutral glass tubing includes: syringes with and without needle, screw neck, pilfer-proof, blow back and pill vials, dental cartridges and pen cartridges. Nuova Ompi has started supplying clean, sterile and ready to fill syringes. The next development of this concept will offer the market the advantages of the EZ-fill concept for other major container types such as vials and cartridges. This allows clients to continue the trend of delegating services to partner suppliers while improving operational efficiency. Bosch Packaging Services develops and provides after-sales services for packaging machines. The product portfolio ranges from standard services, such as spare parts, modernizations and service technicians that increase availability to complete plant efficiency audits and Overall Equipment Effectiveness (OEE) enhancing services. A worldwide network guarantees Bosch is a local service partner.